Snowy owl, Breezy Point, Queens, March 5, 2019. Almost completely white, so probably an adult male. 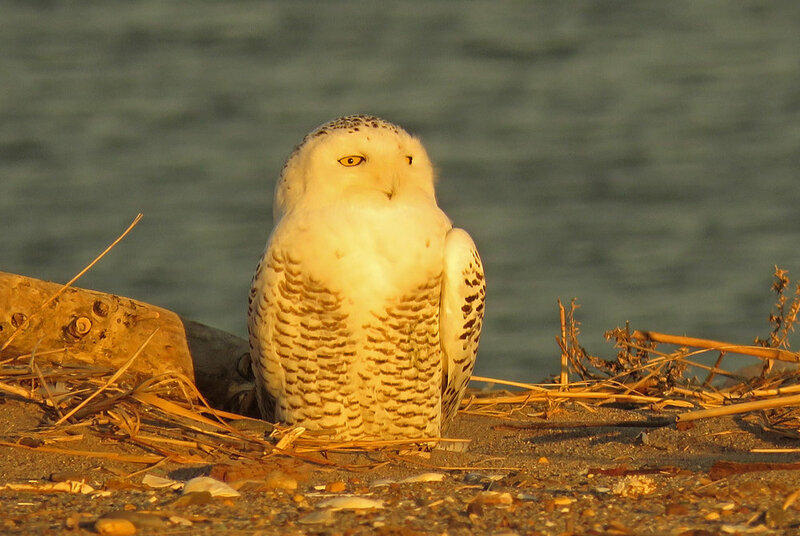 I spent two beautiful hours sitting far away from this snowy owl on a beach in Queens on December 4, 2018. I saw only one other person, and we both took joy that this bird chose to spend time in New York! Thank goodness for a nice zoom lens. 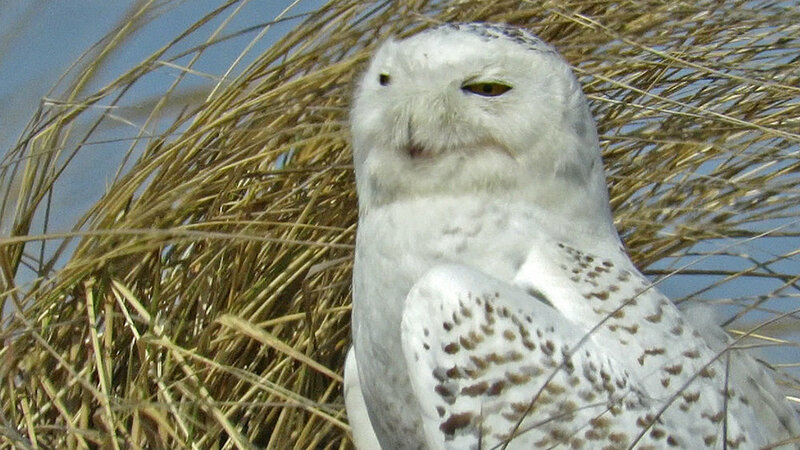 I saw my first snowy owl (Bubo scandiacus) in the wild on December 20, 2017, on Staten Island. I was walking on the sand, looking for the owl but seeing only gulls, when I turned and saw what I first thought was an overturned paint bucket. 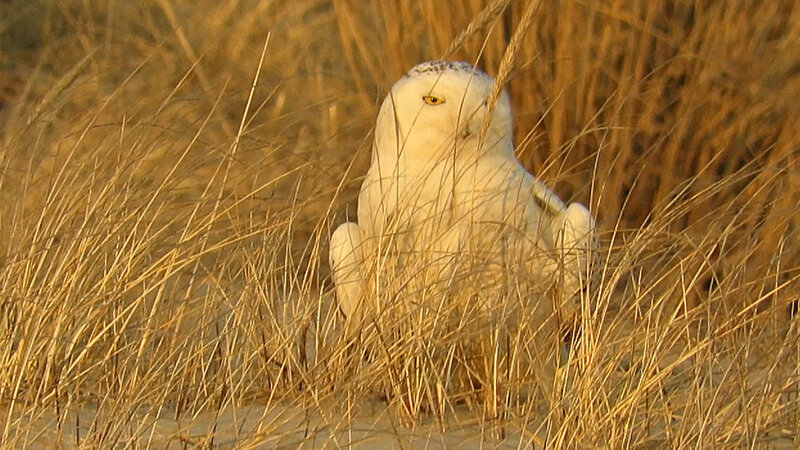 What a joy to see this largest of the North American owls hanging out on a cold beach in New York City! I spent three and a half hours watching the owl, two hours pretty much by myself. 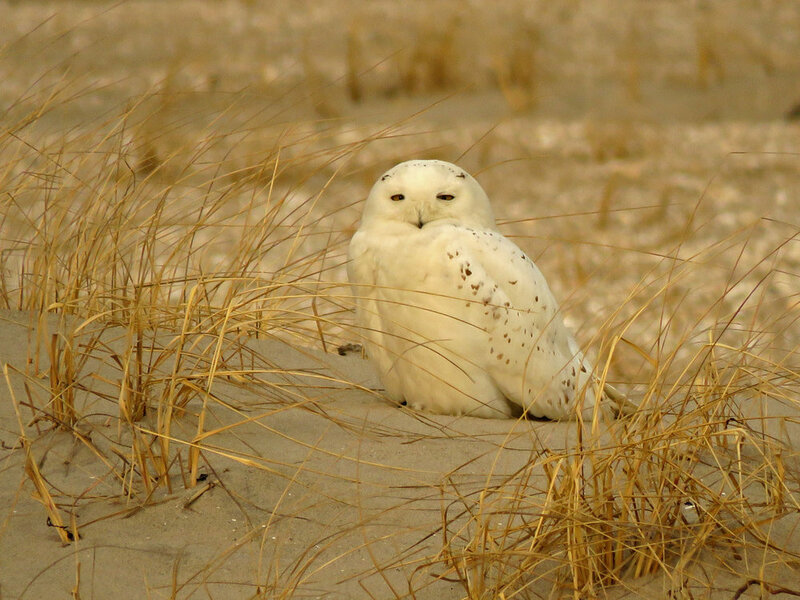 I returned to Staten Island again and found more owls, then also found snowy owls on the beaches of Breezy Point and Fort Tilden in Queens in 2018. What a joy to see these animals! 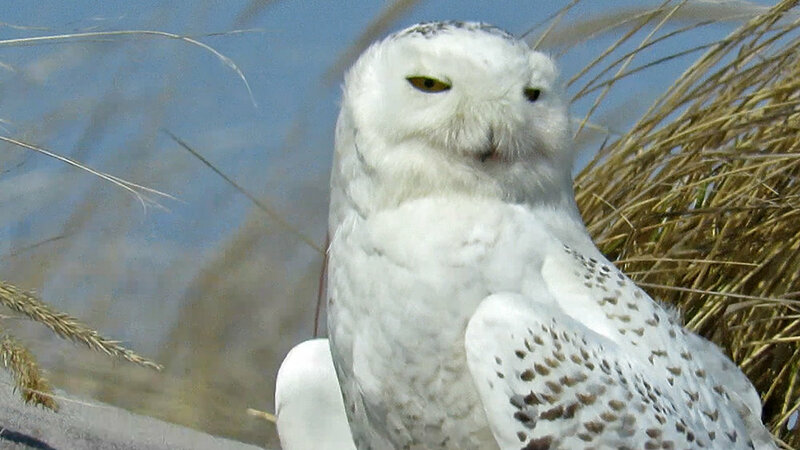 I have been doing separate Filming the Feathers videos for the snowy owls for the different days I saw them. In this first video, you can skip to minute 1:30 to see a bit of "action" (pooping, then walking around), and then later go to around minute 14, when the bird raises her eyelids to show those yellow, yellow eyes! In most of the other videos, there is very little "action" besides head-turning, which is actually a good thing because it means I didn't get too close and disturb the bird! Day 2 and Day 3 videos are below. Both are much shorter, and contain more photos because the videos were so jumpy and shaky (it was bitter cold!). The owl on Day 3 may be a different owl than the one on Days 1 and 2. You'll notice that the white on the chest goes deeper for the Day 1 and Day 2 owl than it does on the Day 3 owl. We had heard there were two owls seen that day, so we might have seen the second one. Days 4 and 5 are combined in one video, also shot on Staten Island. 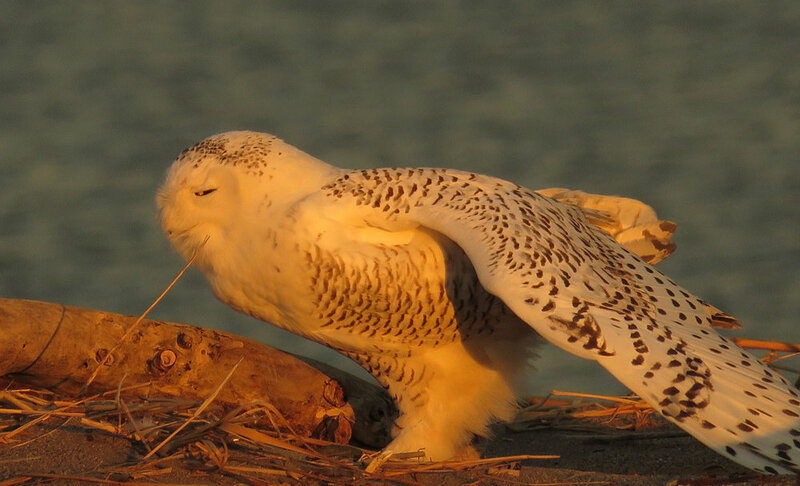 The Day 6 video features two snowy owls seen at Breezy Point, Queens, on February 27, 2018. Days 7, 8 and 9 were on the beach at Breezy Point and Fort Tilden in March 2018. This first set of photos were taken on December 20, 2017. These images are screen shots from videos taken March 15, 2018.